Betony grows throughout most of Europe and can also be found in Asia as far east as the Caucasus. It is a mat-forming perennial, growing to about two feet in height, with toothed eliptical leaves and spikes of pink or white flowers. It prefers meadows, heathland, and hilly areas. The aerial parts are collected when the plant is in flower during the early summer. Betony has been regarded as a panacea since classical times. Antonius Musa, the physician to Emperor Augustus (63 BCE-14 CE), claimed that the herb could cure forty-seven different illnesses and was particularly valued as a remedy for headaches. Betony is still used as a headache and facial pain remedy. The plant is also mildy sedative and is used to relieve nervous stress and tension. Infusions can be taken daily as a relaxing tonic. In British herbal medicine, betony is thought to improve nervous function and to counter overactivity. It is also used for premenstrual complaints and poor memory. 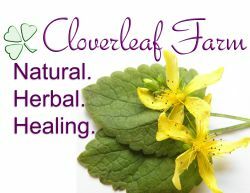 In combination with other herbs, such as comfrey and linden flowers, it is an effective remedy for sinus headaches and congestion. Betony may be taken alone or with yarrow to help staunch nosebleeds. Since it is mildly bitter, is is a good herb to stimulate the digestive system and the liver, plus being an overall tonic for the body. Fresh leaves may be boiled and used to help heal cuts, sores, skin ulcers, wounds, and swellings. It is effective for a number of conditions, including asthma, bronchitis, heartburn, bladder and kidney problems, and intestinal worm infestations.